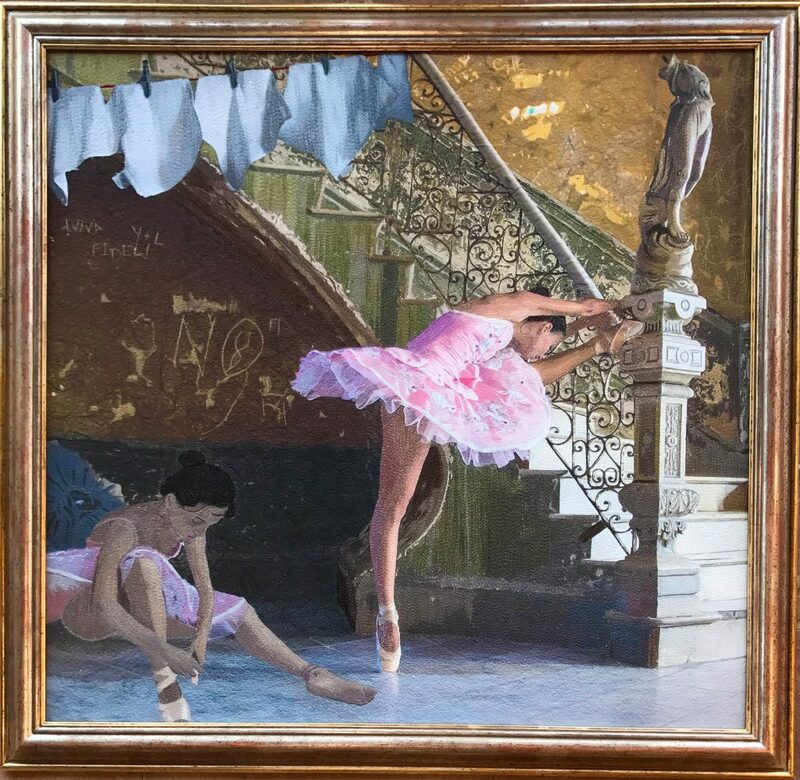 This quilt is based on a photograph I took of a young woman who dances with the National Cuban Ballet. 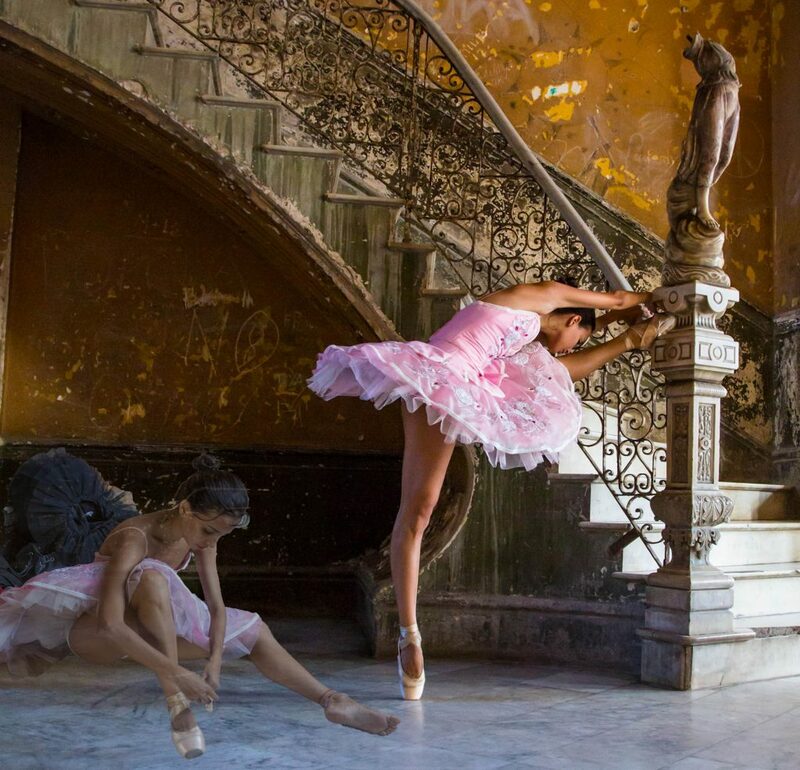 She was dancing in a grand old building that has become dilapidated with time and lack of resources in Havana. Her toe pointing at the base of the statue at the foot of the marble staircase, draws the eye to the combination of beauty and decay. Note: Won 2nd place at the Interantional Quilt festival 2015 – Traveled for 3 years. Photograph on fabric, Thread, Canvas backing cloth, fillet mounted on canvas covered in a glass bead medium.